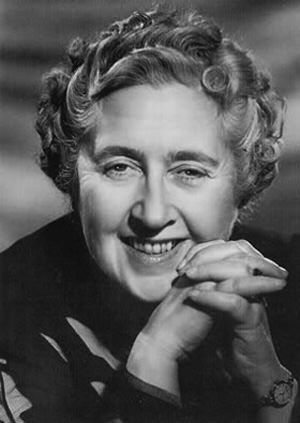 One of the greatest mystery writers of all time was Agatha Christie, and one of her most popular characters was an uppity little Belgian by the name of Hercule Poirot. Poirot appeared in 33 of Christie's novels and 51 short stories between 1920 and 1975. The character has appeared in a number of radio programs, movies, and TV shows. Christie created Hercule Poirot for her first book (written in 1916, but unpublished until 1920). The little Belgian detective had been a police detective in his native country, but expanded internationally after the German occupation during WWI. He is well known for his fastidiousness towards his appearance, especially the mustache he vainly cultivates. His stomach is known to be very sensitive, and he takes great pains to protect it from the trauma of air and sea travel. As popular as he was, Ms. Christie herself eventually grew tired of him, finding him "insufferable" by 1930, and thirty years later calling him a "detestable, bombastic, tiresome, egocentric little creep." She felt, however, that it was her duty as an author to give the public what they wanted, and they wanted Poirot. She did kill him off in the novel Curtain, written during WWII, but unpublished until the year before her own death. When the novel was published in 1975, the New York Times published an obituary for Poirot, one of the few fictional characters so honored. Poirot had several appearances on the radio and in Orson Welles' Campbell's Playhouse adaptation of "The Murder of Roger Ackroyd ". 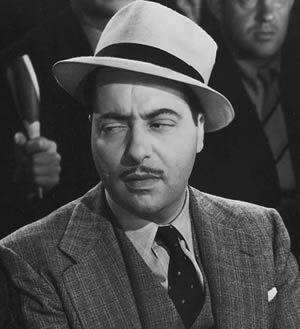 The 1945 Mutual series starred character actor Harold Huber in the title role. The series used none of Christie's own stories, although the author introduced the first broadcast from London via shortwave. Huber had been previously seen as a cop in several Charlie Chan films, and would also play Fu Manchu on the radio. This collection contains eleven Hercule Poirot broadcasts and episodes from Campbell's Playhouse (starring Orson Welles) and Murder Clinic featuring Poirot. For more brainy detectives, see also: Softboiled Detectives. This collection is also included in the Agatha Christie Collection. Be the first to comment on "Hercule Poirot"